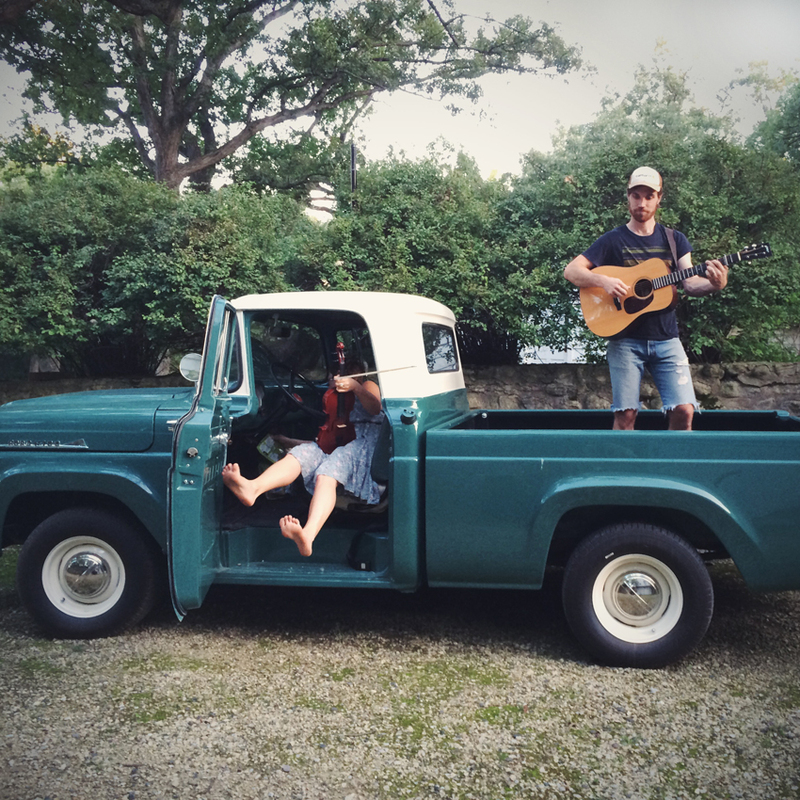 Want to “hire” Big Sadie to play a private patio party at Bang Bang Pie & Biscuits for you and 19 of your friends?! 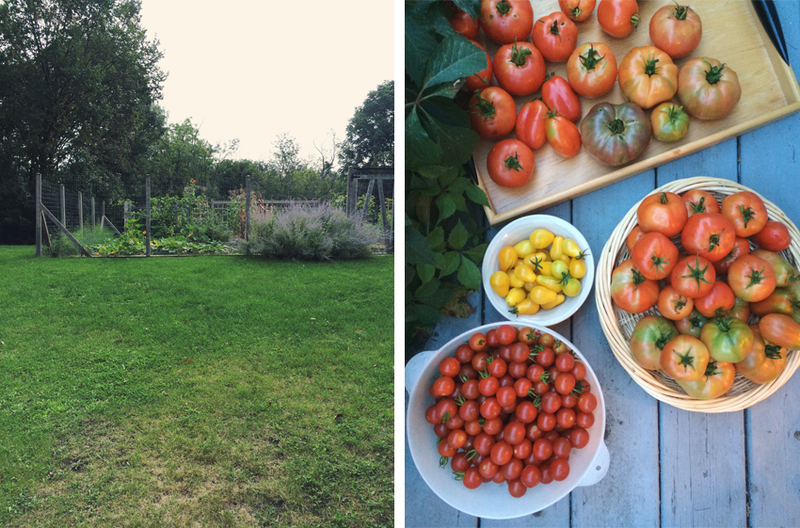 To help raise money to support the educational programs of Green City Market, we’re auctioning off this fun summer night. 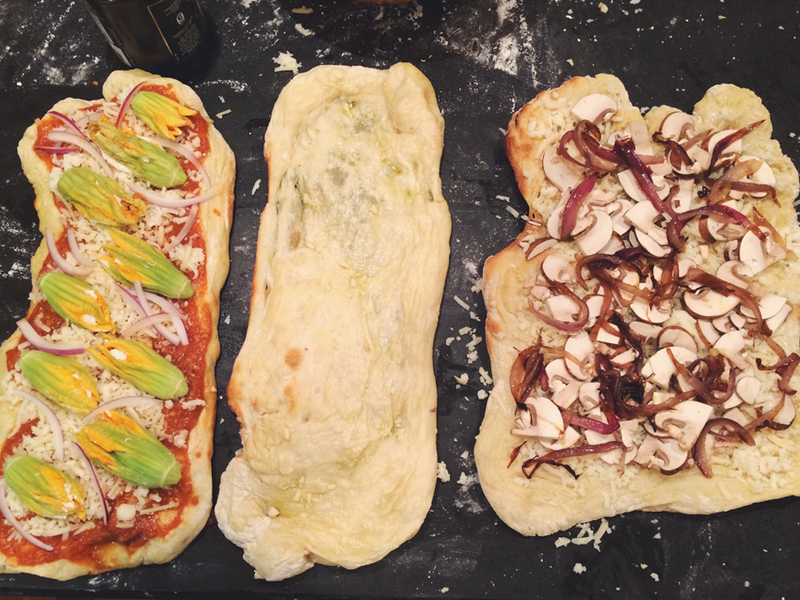 In addition to live bluegrass and pies, the auction includes wood-fired pizzas by The Nomad Food Company LLC and beer from Revolution Brewing. Click here to place a bid and check out the other great auction packages! 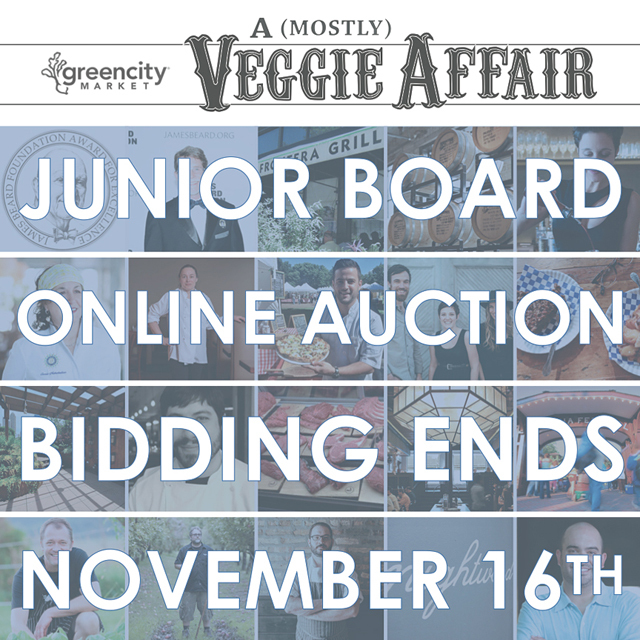 You can also support the market by attending the Green City Market Junior Board‘s annual fundraiser, “A (Mostly) Veggie Affair” on Thursday, November 13th. Tickets and info. Tomorrow night!! 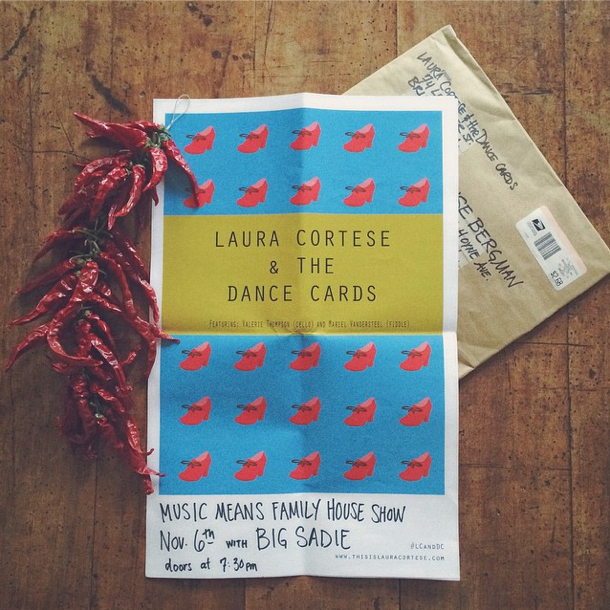 We’re playing a Music Means Family show with Laura Cortese & the Dance Cards. 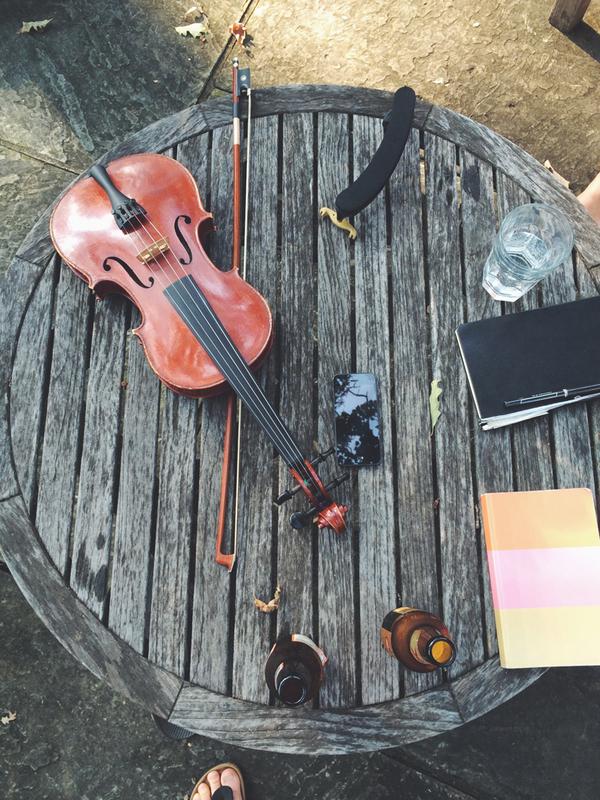 The Boston-based trio plays a rich and innovative blend of folk and roots music and we can’t wait to share the stage with them! Come on out! Thursday, November 6th at 8pm | 4525 N. Ravenswood in Chicago | $10. 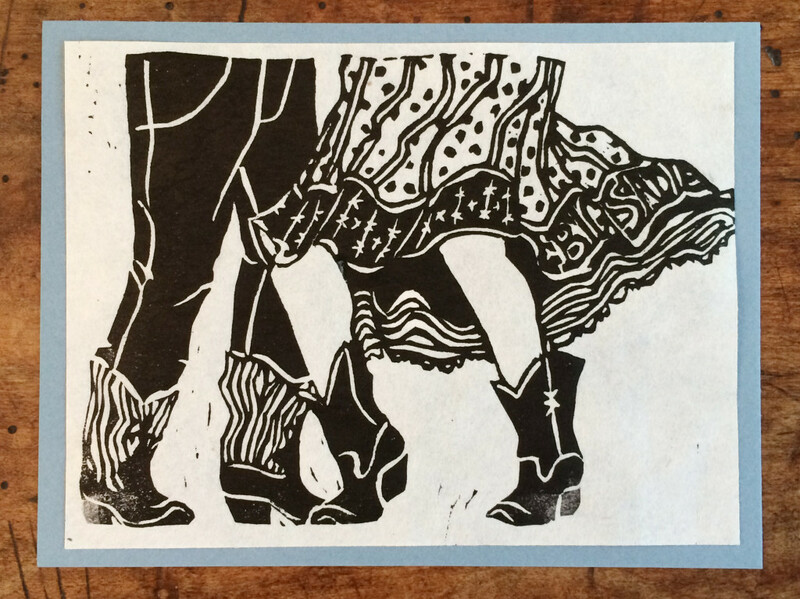 Big Sadie linocut prints by Jess McIntosh are now available at shows and online! 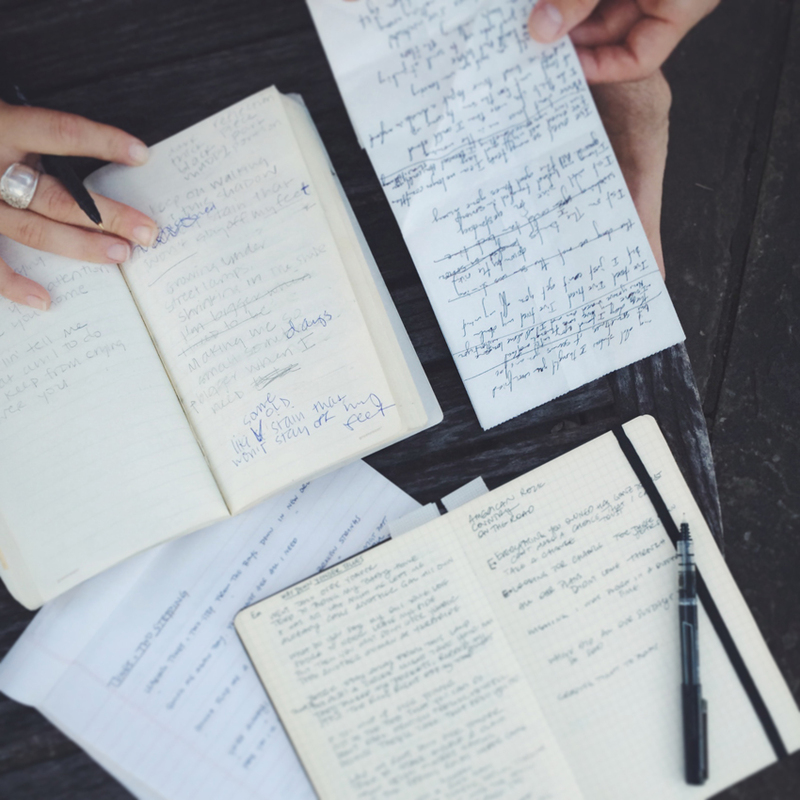 The limited-edition 4.5″ x 6″ prints are hand-carved and -pressed on Japanese mulberry paper. Pick one up at our next live performance or click below to place an order through PayPal. 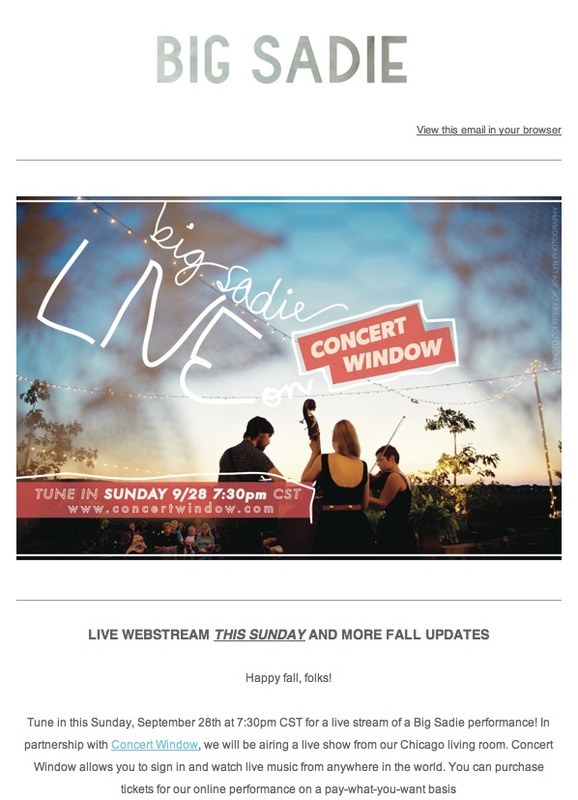 Tune in this Sunday, September 28th at 7:30pm CST for a live stream of a Big Sadie performance! In partnership with Concert Window, we will be airing a live show from our Chicago living room. Concert Window allows you to sign in and watch live music from anywhere in the world. 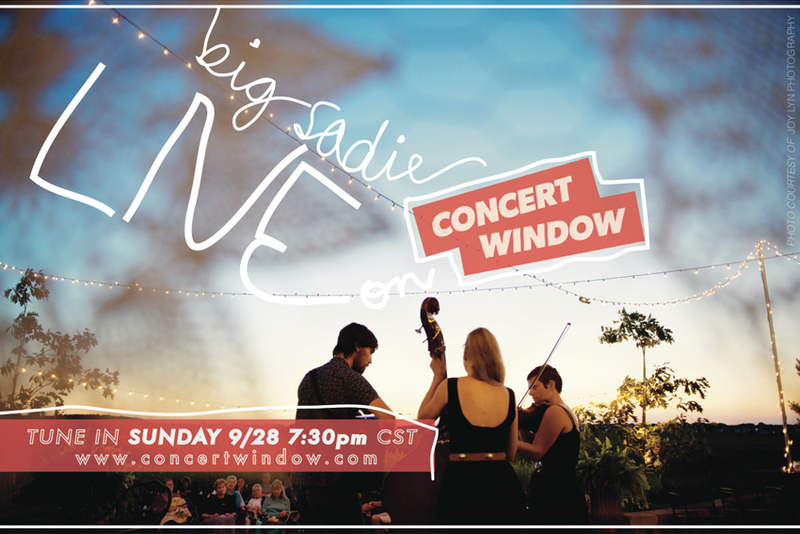 You can purchase tickets for our online performance on a pay-what-you-want basis here: https://www.concertwindow.com/shows/8548-big-sadie. We will be taking requests and answering your questions. Hope you can join us! We had an awesome Labor Day weekend full of rehearsing, writing, gardening, cooking, eating, swimming, and enjoying the last official days of summer vacation. We’ll be trying a number of new originals at the Edgewater Lounge tonight. Come out and give us some feedback!